Marty started as head coach in 2018. He grew up in Tacoma, attending Stadium HS where he played Basketball, Baseball and Soccer. He then went on to play soccer at Bellevue College (BCC then) where he won 2 NWAACC titles. After that he attended Methodist College in NC where he played 2 more years of soccer. After playing soccer for 25 years and coaching it another 5 years, he began pursuing his passion for softball. Marty was an assistant coach at Green River Community College under Mark Anderton. 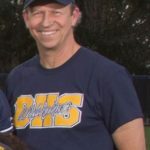 In 2003, Marty began teaching softball coaching softball teams every since, including a year at Redmond HS (2004) and many years at the select level. Alex has been a coach at Bellevue since 2011. She is a 2007 graduate of Bellevue High School. During her career at Bellevue, Alex was a four-time All-King Co 3A shortstop and played volleyball earning conference honors her senior year. Alex was also the 2007 “Bellevue Female Athlete of the year” recipient. Alex played travel ball with the Absolute Blast and Washington Hurricanes. Alex continued her career at Linfield College in McMinnville, Oregon and graduated in 2011 with a degree in finance and as a member of the dean’s list. Alex was a four-year starter for the Linfield Wildcats, was a four-time Northwest Conference player, All-Region and 3rd Team All-American. Her senior year, Linfield won the NCAA National Championship with Alex batting .365 in the tournament. Alex holds several offensive and defensive school records for this nationally acclaimed softball program. Victoria is a 2007 graduate of Eastlake High school where she played fast pitch. After high school she took up playing slow pitch and coaching a variety of athletics. She has 5 years of coaching experience at various levels. Victoria is a full time firefighter and is excited to be filling her off time coaching at Bellevue. Assistant Coach – Makenna Pellerin graduated from Cal Lutheran in 2018 where she played 4 years for the Regals. She played 1st, 2nd and Shortstop and finished her freshmen year hitting .338 and a .967 fielding average! Makenna graduated from Mercer Island in 2014…played four years of varsity softball for the Islanders…named team MVP as a freshman, junior and senior…earned Second Team All-KingCo as a junior and senior…named Honorable Mention All-KingCo as a sophomore. Heather Tracy retired after the 2017 season to spend more time with her family. We want to thank her time and energy she put into the BHS softball program as well as the legacy she left the program with! 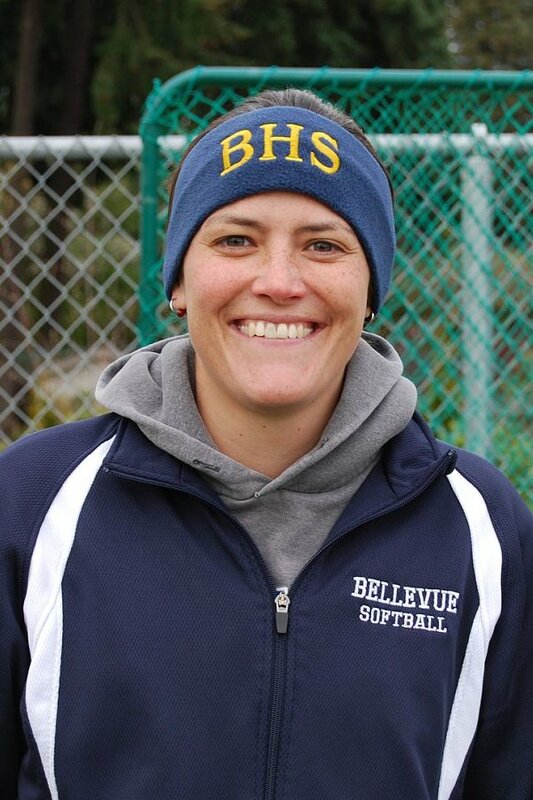 Head Coach Heather Tracy began coaching high school softball in 2000, and has been head coach of Bellevue since 2005. She has led the team to the SeaKing playoffs 7 out of the past 9 years and placed in State in two of the past five. 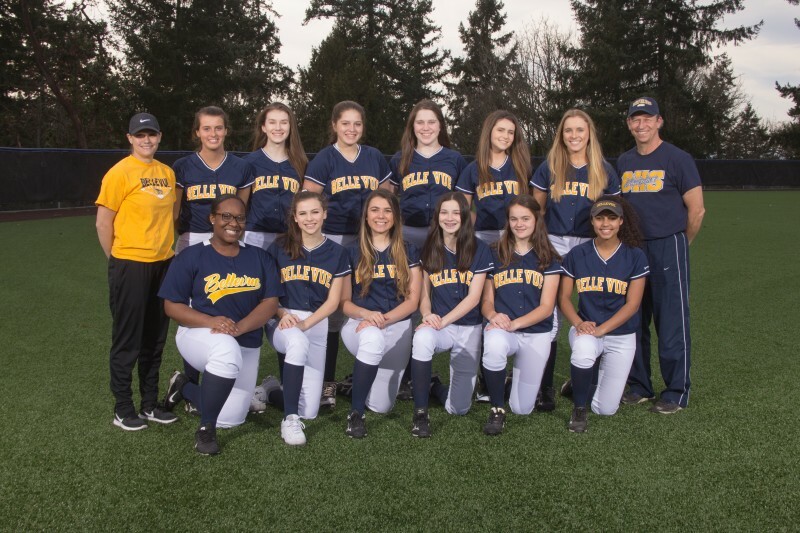 In 2010, Coach Tracy led the Bellevue Wolverines to a third-place finish in the 3A State Tournament, Bellevue’s best finish in school history, and then followed it up in 2011 with a fourth-place finish. Prior to coming to Bellevue, Coach Tracy was the assistant coach at Sehome and Shorecrest, where the Shorecrest Highlanders won the 4A state championship and produced several NCAA Division I softball players. Coach Tracy graduated from Shorewood High School in 1996 where she was a first team All WesCo shortstop. She continued to play shortstop at Edmonds Community College, which finished 2nd in the NWAACC championship in 1998. She completed her BA in Physical Education at Western Washington University, has a teaching certificate and a Master’s degree in Sport and Exercise Leadership from Seattle Pacific University. In 2009 Coach Tracy was honored as the Coach of the Year.